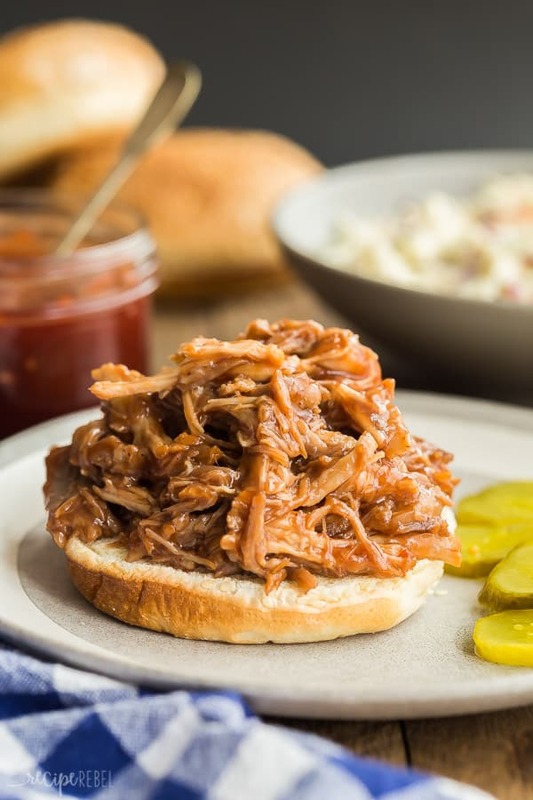 This Instant Pot Pulled Pork with Cranberry BBQ Sauce is sweet and tangy with a little kick! It is SO easy, the pork loin is fall apart tender and the barbecue sauce cooks right in the pressure cooker! Makes a large batch so it’s perfect for those summer cookouts, but it’s also freezer friendly! Maybe you’ve figured out we’re also really big fans of sauce. 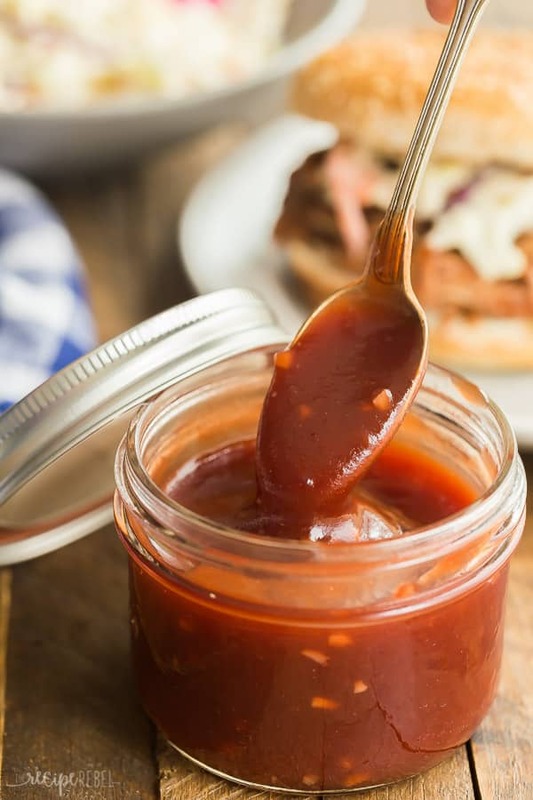 Dr. Pepper BBQ Sauce, Pineapple BBQ Sauce, Cherry BBQ Sauce — you name it, just let me slather it on everything. The newest addition to the family is this unreal Cranberry BBQ Sauce, made with cranberry juice and cranberry sauce, for loads of fruity, tangy flavor. If you’ve never tried cranberry with pork, you are missing out! 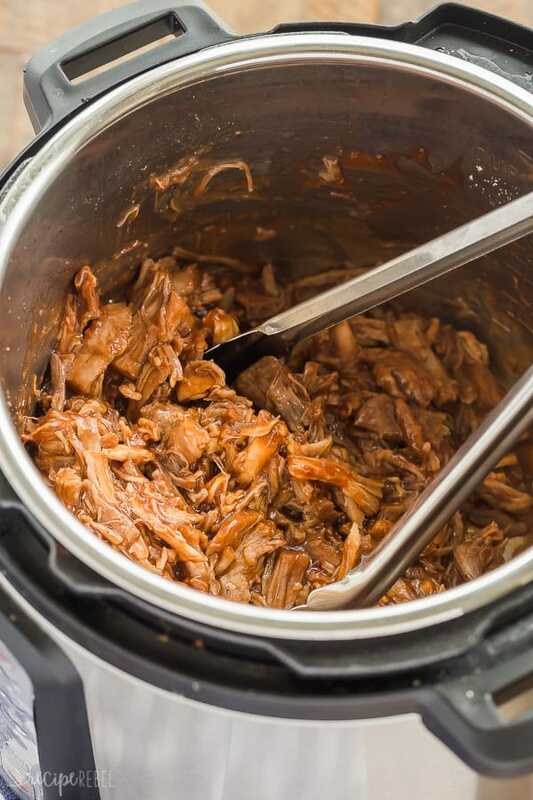 The two make an incredible pair, and once you try this Instant Pot Pulled Pork I’m not sure you’ll need any other recipes. I think cranberries are underrated this time of year. Once the sun starts shining we’re often found dreaming of rhubarb and berries and we forget that cranberries make an awesome addition to our summer cookouts, too. Dried cranberries are perfect in salads and coleslaw (a coleslaw to top this pulled pork, maybe??) as well as trail mixes for busy days, and cranberry juice can be used to make marinades or drinks or desserts or maybe a thick, rich barbecue sauce to slather on pulled pork, grilled chicken or turkey burgers (oh my word, can you imagine?!). Cranberries are loaded with antioxidants, vitamins and are part of a heart-healthy diet, so there’s no reason to wait until fall to enjoy! Gluten-free: this pulled pork is naturally gluten-free, but be sure to double check all of your ingredients. Dairy-free: this pulled pork is also naturally dairy-free, but again, be sure to read all labels carefully. Cook it long enough: if your meat is not shredding easily, it wasn’t cooked long enough (to some extent, I mean, if you cook it for hours and hours until it’s crispy it won’t shred well either!). I cut my loin into roughly 1lb pieces, so that it cooks more quickly and is more tender. If you need to, turn the pressure cooker back on for 5 or 10 minutes. 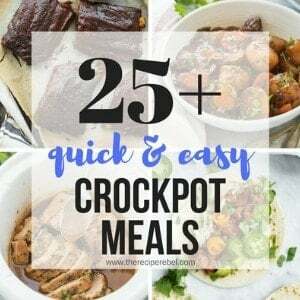 You can definitely make this recipe in the slow cooker as well! 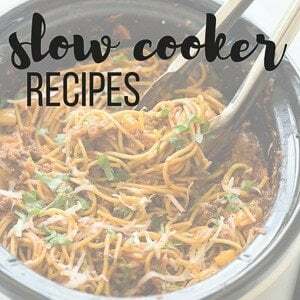 Simply add the pork, cranberry juice and seasonings to a slow cooker (you’ll want one at least 3-4 quarts), and let cook on low for 8-10 hours until it easily pulls apart. Shred, and prepare the sauce on the stove top, simmering the sauce ingredients together until thickened, and adjusting the seasonings to your tastes. Why use a pork loin for this Instant Pot Pulled Pork? I always, always use a boneless pork loin for pulled pork because they’re lean (and any fat on the outside you can easily trim before cooking), they cook easily, and they’re easy to shred. It’s also an inexpensive cut of meat, often going on sale for less than $2/lb. Perfect for stocking the freezer! *This post is generously sponsored by Wisconsin Cranberries — thank you for supporting the brands and industries that make The Recipe Rebel possible! This Instant Pot Pulled Pork with Cranberry BBQ Sauce is sweet and tangy with a little kick! It is SO easy, the pork loin is fall apart tender and the barbecue sauce cooks right in the pressure cooker! Makes a large batch so it's perfect for those summer cookouts, but it's also freezer friendly! Cut pork loin into 1 lb chunks and place in the Instant Pot or electric pressure cooker. Add the cranberry juice, garlic powder, onion powder, salt and pepper. Place the lid on, turn the valve to sealing, and cook on Manual, high pressure, for 60 minutes. It will take about 10 minutes to come to pressure. Let pressure release naturally for 10 minutes before opening the valve to release remaining pressure. Check for doneness -- if the pork easily pulls apart, it is done. Remove meat from the Instant Pot and shred with two forks. Drain the remaining liquid from the pot. Add all of the sauce ingredients to the pot and whisk until completely combined. Turn the Instant Pot to saute mode, and cook and stir until thickened. Taste and adjust seasonings to taste. Add pork back into the sauce, and stir to coat. Serve. Do you place the meat on a trivet or directly into the pot? Do you use sweetened cranberry juice or natural unsweet? I place the meat right in the liquid — I think it makes it more tender! Either cranberry juice will work, but I try to look for unsweetened. I made this last night and it was SENSATIONAL!!! The kids demolished their rolls and asked for seconds! I made it in a stove top pressure cooker (as I don’t have an IP) and it was perfect. The meat stays so moist by using the IP. 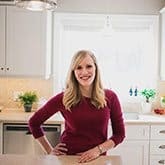 This recipe is a true KEEPER! I love the idea of cranberries in the barbecue sauce for this pulled pork! Sounds so good! This sounds so delicious! 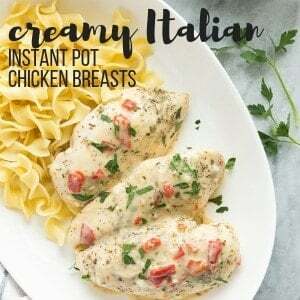 I am so loving all the Instant Pot recipes! I never thought I could love a kitchen appliance so much. And that BBQ sauce sounds incredible!